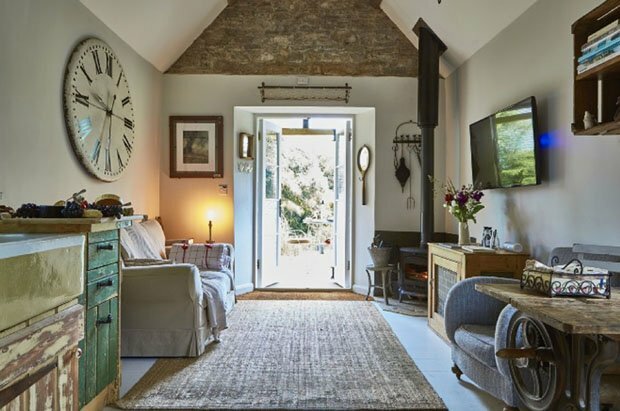 What makes a house truly distinctive is how beautifully it can relate to its surroundings, echoing its past in both its facade and the spaces within it. 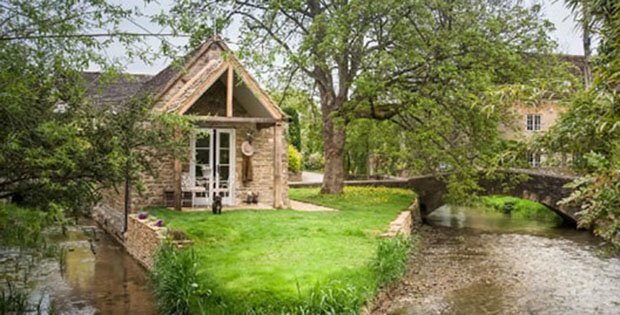 Like this luxuriously quaint English country style cottage called Filly Island in Gloucestershire, United Kingdom, it’s got scenic surroundings that remind one of romantic storybook pictures. Everything in it seems to have been placed there by a magical force, creating this dream-like picturesque setting; you might just feel like a character in a book acting out a scene from a play. But for the owners, it doesn’t stop there. It needs to level up to provide modern-day conveniences that would complement yet not in any way mar its romantic old world charm. By placing unused yet attractive objects in some nooks and corners as ornamental accents, they successfully spiced up the interiors, making it fresh and crisp. Feel the romantic streak well up in you. Take a look at these photos and tell us what you think on our Facebook Page! 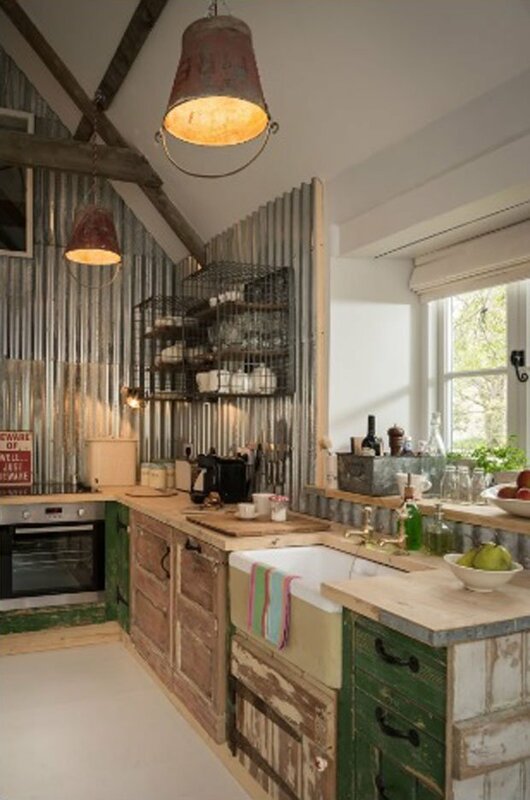 A passion for upcycling and a curious exploration of the unexpected are what makes this unique home stay so special. 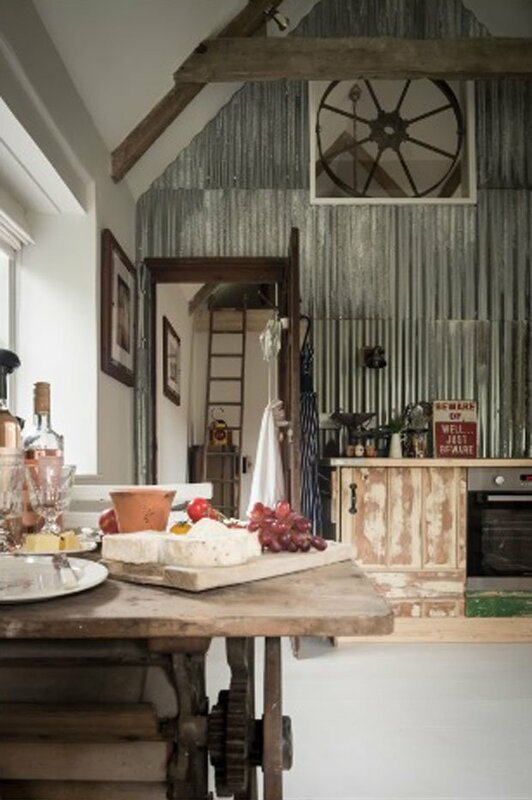 Pre-loved finds are revivified to bring about the quirky interiorscape at Filly Island such as fire bucket light shades and curtains made from old Hungarian grain sacks. 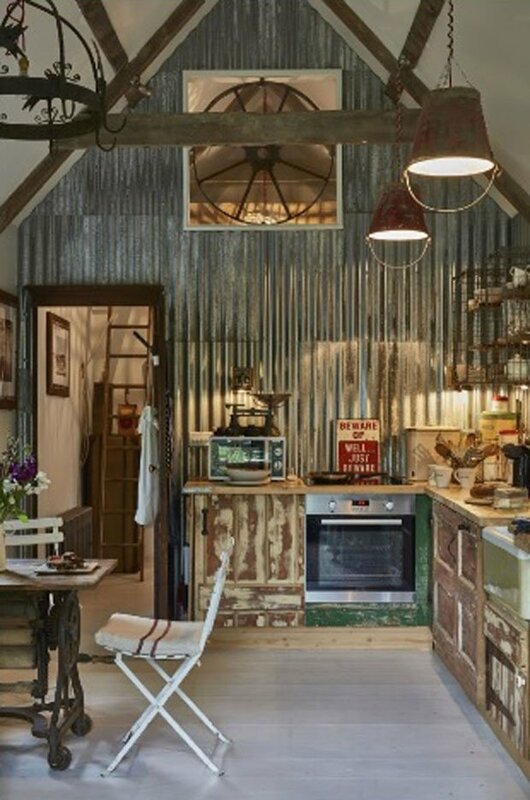 A vintage mangle and cartwheel have been reimagined into statement pieces to stylishly adorn this unique cottage in Gloucestershire. 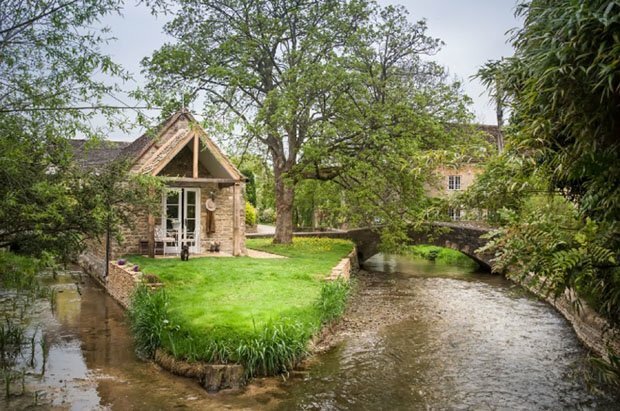 The pretty Cotswold scene outside the door makes this dreamy abode one you’ll be inspired to write home about. 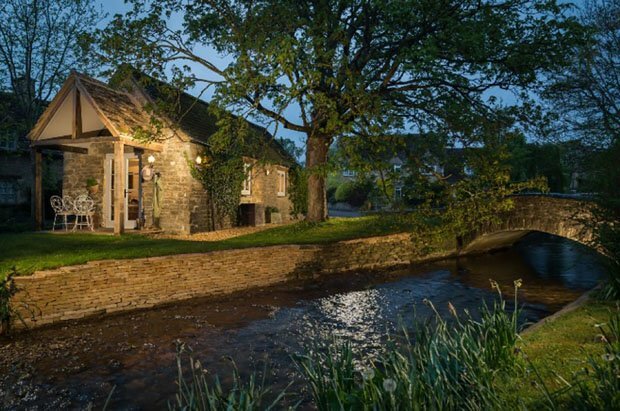 Situated in the pretty Saxon village of South Cerney just three miles from Cirencester, Filly Island sits on a tiny triangule island betwixt a millstream and the gurgling River Churn. Stand on the tip of the ‘island’ to enjoy views up the river to the village beyond . . .
Reader’s Poll: Which Item Would You Rather Have In Your Man Cave? WHY NOT RENT OUT YOUR GARAGE AS A GUESTHOUSE INSTEAD?